The sign in the antique photograph says “Delight Private Beach” and it looks like everyone is having a fun time in their bathing costumes. A boardwalk built out over the water, enables visitors to dangle their legs over the edge without actually going swimming. On one side are cabanas for changing and on the other side a gazebo for shade. 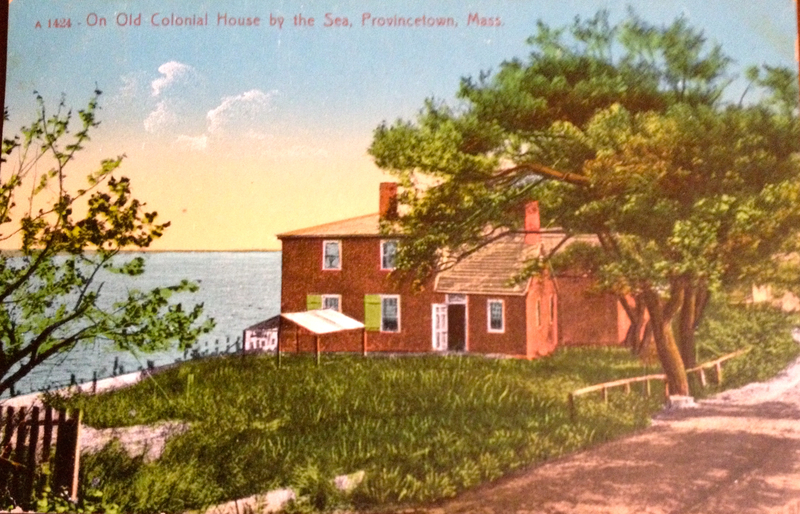 Delight Cottage was located at 113 Commercial Street, on the West End of Provincetown near the bend in the road by where is currently the Coast Guard Station. Times have changed, and usually even at high tide the bay side is not as crowded as it was in approximately 1910 when this photograph was taken. Old photographs and postcards were a passion of the murder victim Sonny Carreiro in the mystery novel Remaining in Provincetown by S.N. Cook. Do the antique postcards figure into the plot in some shape or form? You’ll have to read the story to find out. Now available in bookstores and online. Autographed copies are at the Provincetown Book Shop or purchase your trade paperback or ebook at Amazon.com Like us on Facebook and join the conversation. 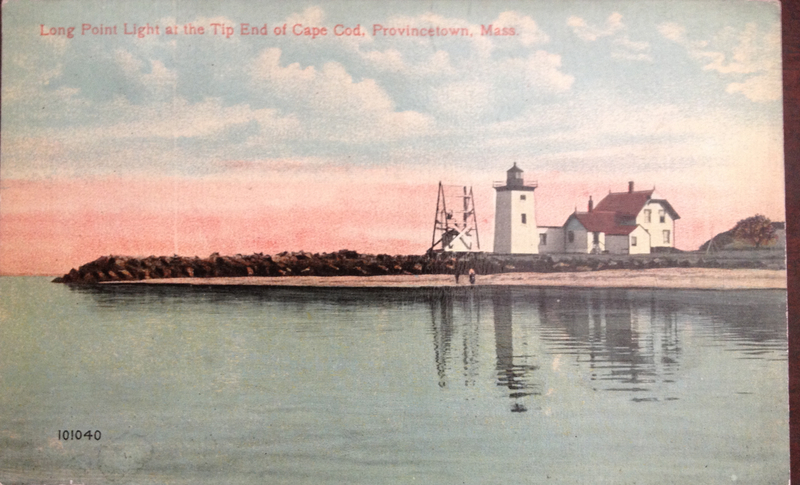 This lovely antique postcard shows Long Point light on the tip of Cape Cod, once the location of a fishing village. The postcard was published by H. A Dickerman and Son. . It’s a handsome color lithographic print from the late 19th century. at a time when it cost just a penny to mail a postcard and two cents if you wanted to send your card outside the United States. Today, no one lives on Long Point, which makes it a quiet and secluded spot for clothing optional bathing and picnics. If you don’t have a boat, you an hike across the breakwater at the far west end of town, by the Provincetown Inn. The further out you are willing to hike, once you arrive at the point, the more secluded you’ll be. But watch out for the tides, or you may get stranded. 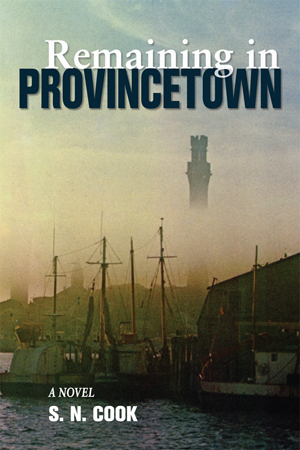 If you like Provincetown adventures, don’t miss out on reading Remaining in Provincetown by S.N. Cook. Autographed copies are currently available at the Provincetown Book Shop on Commercial Street. Or you can buy a copy online. The books are available in trade paperback and as an ebook. Like us on Facebookand join the conversation. Send questions to the author via comments on this website. Thank you! Like our facebook fan page and you may be selected to receive a FREE advance cppy! The wheel on the boat broke down and we were two hours late so missed the train and had to stay in Provincetown over Sunday. Stayed at the Gifford House and had a dandy time. It is just lovely here and the daisies and roses are so pretty. We went for a long walk this morning. We’ve had plenty of showers today but hope it is pleasant tomorrow. Love from South Wellfeet. So evidently Mary took the Boston Ferry Boat to Provincetown as the quickest way to get to South Wellfleet. At the time she was traveling, the train still carried passengers up and down Cape Cod. Her firiend, who she was writing to lived in Wollaston, Massachusetts. People sometimes arrive to places quite by accident and end up staying there, like some of the characters in the new murder mystery novel Remaining in Provincetown by S.N. Cook. Want to learn more? Read the book now available online in trade paperback and on kindle. 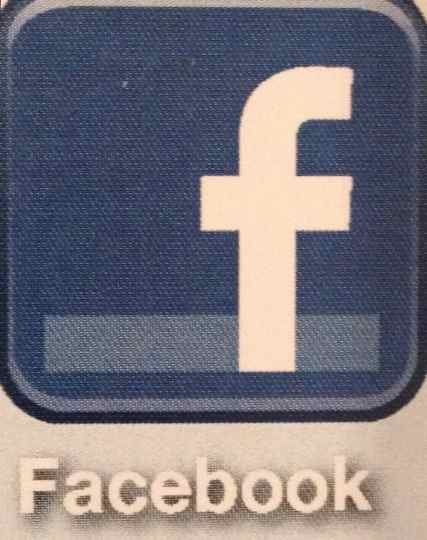 Like us on Facebook and continue the conversation.